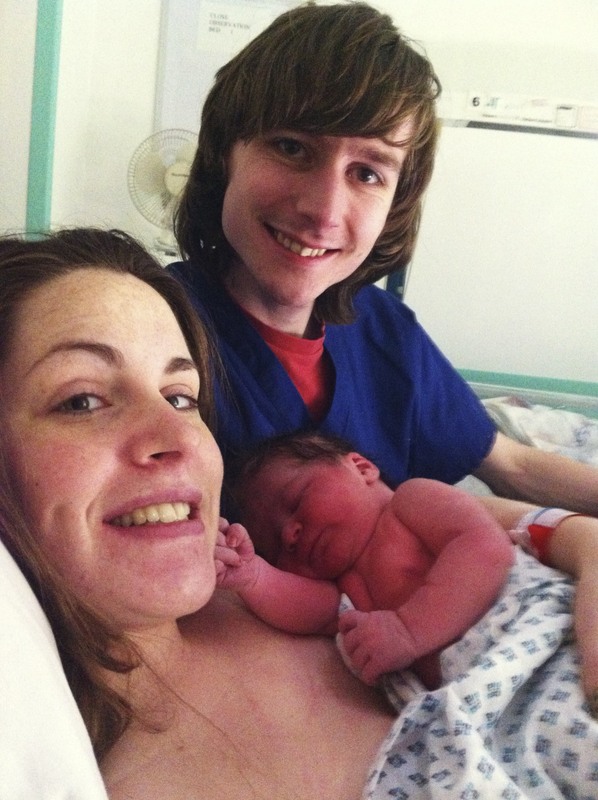 Oscar John Russell was born at 0015, 5th February 2012 (by c-section). He weighed in at a hefty 4.28kg (that’s 9 lb 7!). It was a long labour, and very tiring for Caroline, but Oscar was calm and healthy throughout, and Caroline did a tremendous job! Thanks everyone for moral support, prayers and well-wishing. Especially big thanks to John, our neighbour, for stepping in where our car failed, to my mum for coming down from Rotherham to help but then being stuck alone for 13 hours in the hospital 🙁 and to the midwives, doctors, anaesthetist and many assistants at The Lister delivery unit that got Oscar out of Caroline safely. Thanks for joining in our labour! Caroline has been having twinges and progressively worse back pain for SIX days. Tonight we started to worry. By pressing my ear to Caroline’s belly, I could hear Oscar’s heartbeat. It’s strong and regular and a huge source of relief. Tomorrow, Caroline will see the midwife to get an update on progress. The midwife confirmed that Oscar is fine (phew! Is this what the next 18 years are going to be like?!) and tells us Caroline has entered the first phase of the first stage of labour. Her body is getting ready, and contractions are irregular. Oscar is a little bit back-to-back so that’s why she feels the pain in her back. Caroline is trying to get rested before the next phase. This whole pregnancy thing is soo complicated, and explanations are soo varied. We’ve pieced together what’s happening. This post sums it up pretty well. There are three stages to labour. The first stage has multiple phases (2 or 3 depending who you ask), but given how variable it all is, the distinction between the two phases of the first stage seems somewhat arbitrary. Anyway, Caroline has been having irregular contractions for a few days, but because Oscar is a little bit back-to-back she feels the contractions in her back, rather than her front. They’ve been fairly strong since yesterday evening. For now, we’re gonna chill and play Lego Star Wars (in short bursts between contractions). Caroline managed to get a few hours sleep this evening. And I watched Jeremy Clarkson and James May drive to the North Pole. She’s having contractions again, but still irregular, so probably try and sleep again soon. Caroline had contractions until 4 this morning, and has managed to get some good sleep since then. Still no sign of Oscar! I think she’s going for the record of longest labour in history. Contractions are about every 5 minutes, but still in her back, and not so strong she can’t talk… So still not sure that this is it! She’ll be examined and I’ll update with the result of that. The last hour has been the scariest. Caroline and Oscar are fine and hooked up to a monitor. It says Caroline is in 40% pain. And Oscar’s heart is going at 147 beats/minute. I went to get the car and it wouldn’t start!! I think the battery is flat. Our fantastic neighbours came to our rescue and got us to the hospital. Caroline is being really brave, but it’s all quite scary and unknown. Oscar is on his way! Turns out Caroline is fully dilated and will be pushing soon. We were expecting to be sent home again. 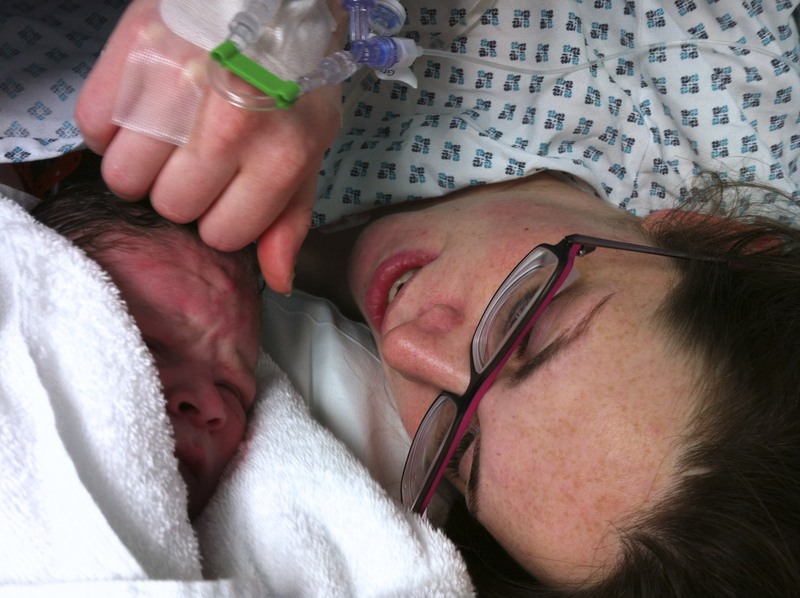 The midwife was very surprised to find Oscar’s head when she examined Caroline! We’re in the delivery room and will probably start pushing at about 6. Caroline has done so well to have gotten this far at home. She’s in the birthing pool now, enjoying floating around. We’re still going. We’re considering having a drip again to get the contractions going stronger. Now let’s get this baby out! Oscar has until 11 to arrive, otherwise we’ll start considering an instrumental delivery or Caesarian-section. All doing fine but would like to be done soon! We’re all fine. Caroline is very tired but not been in bad pain. She’s being prepared for theatre now. They’ll do an epidural then try instrumental and do c-section if that doesn’t work. Oscar’s head is a bit skewif, which is maybe why its been a difficult delivery. Oscar John Russell was born at 0015 February 5, 2012 (by c-section) everyone is happy and well!